"I am rising as I am falling". 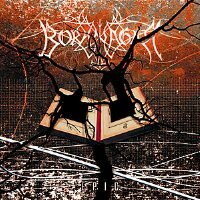 The best Borknagar release, combining the majestic leanings of symphonic prog with black metal, to create a moving and stimulating work of art. It is intelligent, wonderfully produced (which is in contrast to most black metal), and wonderful at creating tense atmospheres. The album is fairly solid throughout, with little downfall in the material as we go from the beginning of the record to the end of it. The Weight of the Wind is perhaps my favorite, which sounds almost as a sinister take on the style of Anglagard, as the keys here are menacing. The Classical effects here are well done, and there's much in terms of variation, from the scathing vocals to mellow sections, to soaring melodies. Vintersorg's clean vocals are especially good, and really help to accentuate the music. The compositions are well considered, inspiring, and the keys fit in brilliantly with the music. This is a wonderful record for those looking to explore the deep end of progressive metal as it has enough symphonic leanings to keep those interested who are not acquainted with the genre. I won't deny that their are a few weak spots, but the professionalism of the work and it's overall quality makes it a worthy part of a prog collection.